Incandescent light bulb symbol that can be illuminated with 10mm (normal) or 12mm (most RGB) LED stripes, with room for a controller unit. The 12mm Version also fits most RGBW LED stripes so you have lots of options for some cool wall lights. The power cord opening should be big enough for most normal sized power cords. I left room for a small PCB, so there are lots of ways to control those lamps. 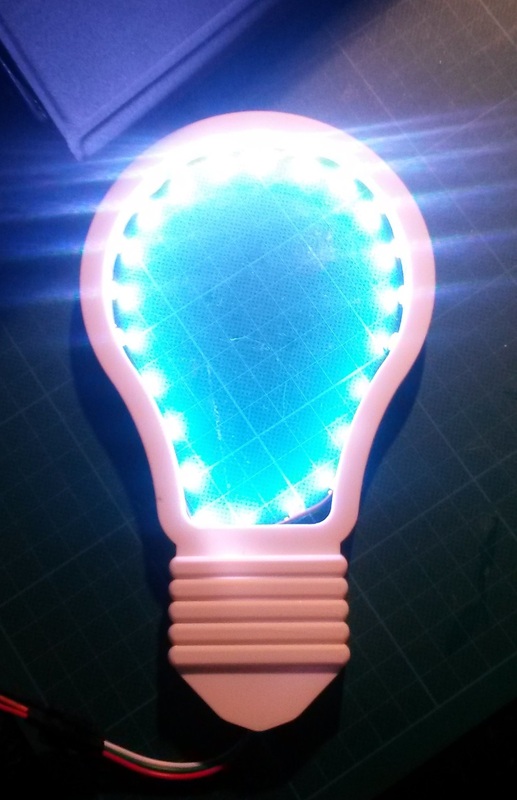 I used an ESP8266 to control my RGBW lamp (the blue one) via my smartphone. 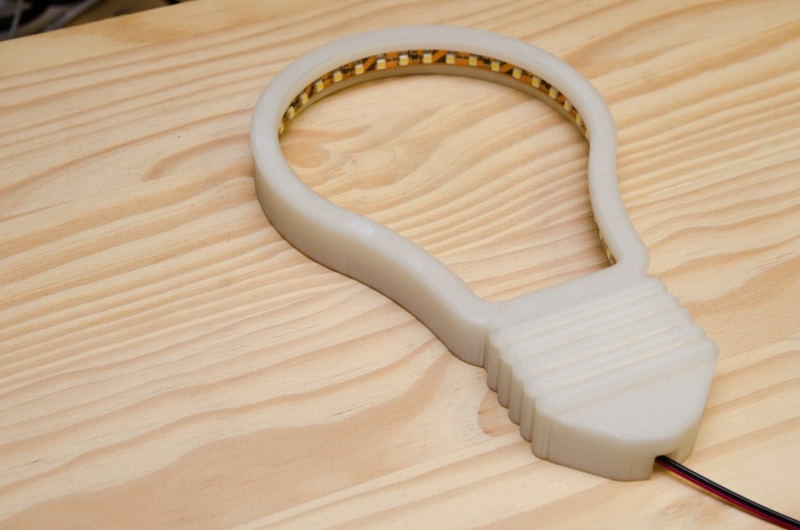 Print the lamp body and the AddOn piece if you like. Glue it into place with some CA glue or whatever fits your purpose. Then glue your choice of LED stripe in, you will need about 30cm for each lamp. 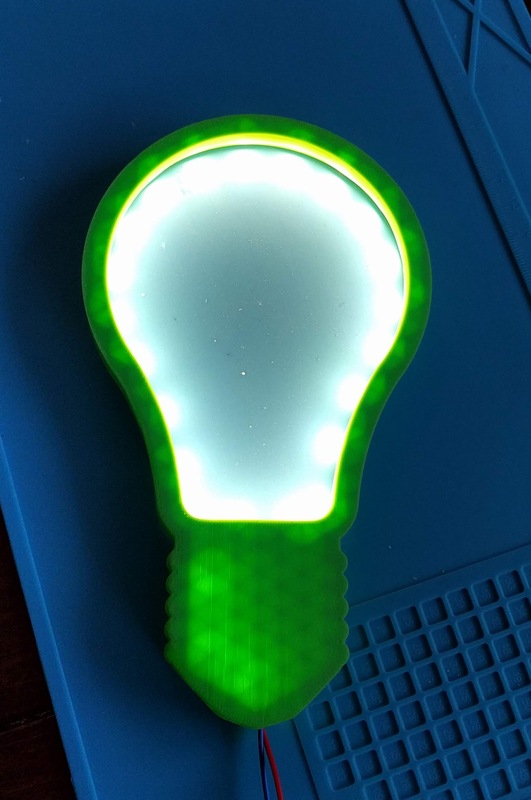 Connect to a 12V (or whatever fits) supply and you will have a nice light. Or add some kind of controller if you want. LED stripes with lots of LEDs/m look nicer. Use at least 60 LEDs/m stripes, better are 120 LEDs/m stripes. Can you share the led driver shown in one of the pictures?